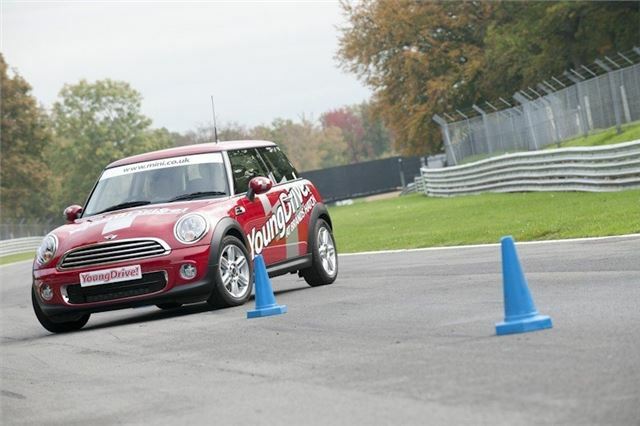 Drivers as young as 11 can now get behind the wheel of a MINI One at Brands Hatch, Oulton Park or Bedford Autodrome as part of the YoungDrive programme. The programme allows anyone over the age of 11 and over 4’8” tall to learn car control in a traffic free environment ahead of taking to the roads for real when they’re old enough. "The MINI One is the perfect car to give young people their first driving experience and is very popular amongst new drivers; it's small, nippy and fantastic fun. I'm sure it will leave them counting the days to their 17th birthday!" says Jochen Goller, Director, MINI UK.